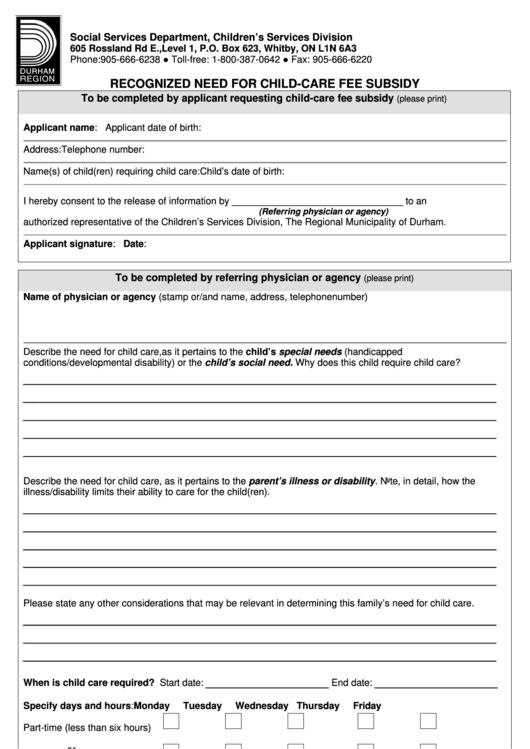 authorized representative of the Children’s Services Division, The Regional Municipality of Durham. conditions/developmental disability) or the child’s social need. Why does this child require child care? illness/disability limits their ability to care for the child(ren). Please state any other considerations that may be relevant in determining this family’s need for child care. information is required in an accessible format, please contact 1-800-372-1102 ext. 2671.